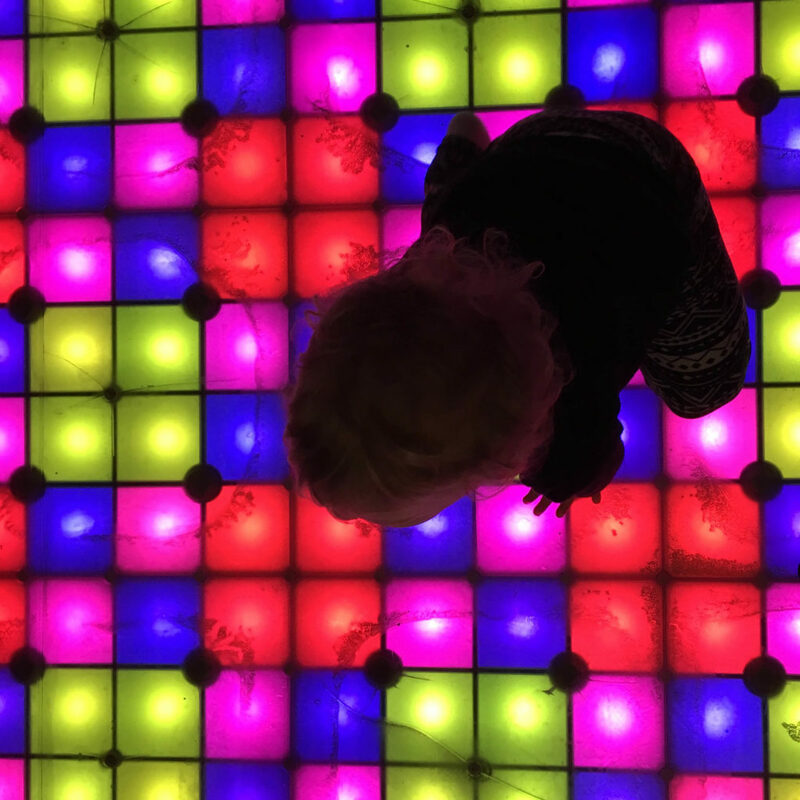 If you need some place fun to take the kids this winter, check out Playdate PDX. 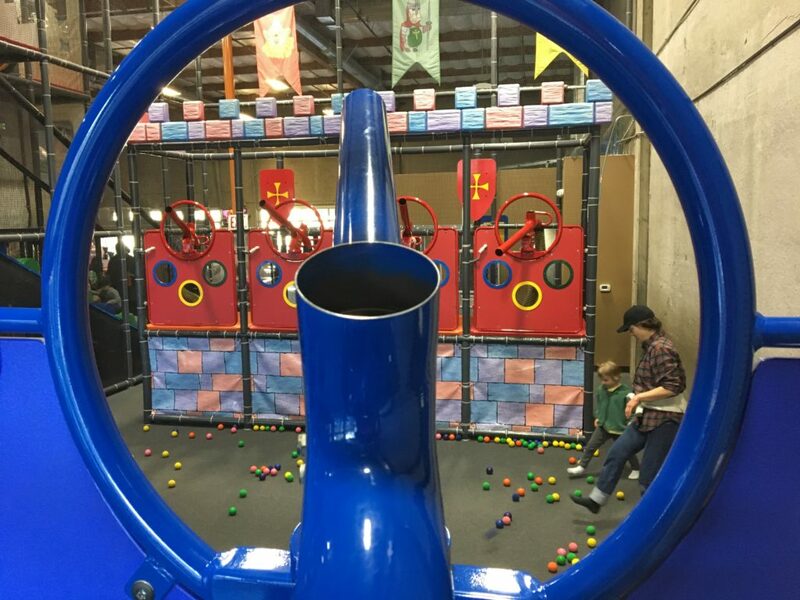 It has everything kids and parents need for a fun afternoon. One warning….It can be a bit spendy. 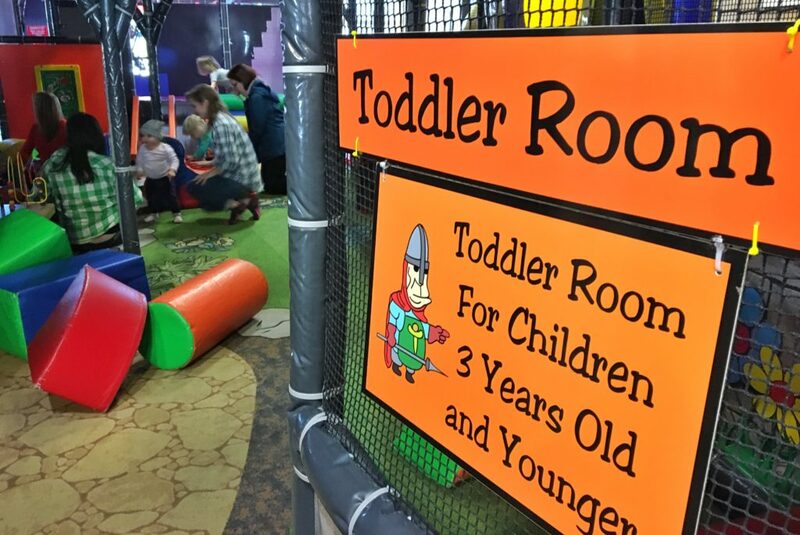 It’s only $4 for kids under 4 on weekdays, but it can skyrocket to as much as $14/kid on the weekends. Yikes! But for a toddler is seemed fairly reasonable. We played for 90 minutes and both had a great time. I was honestly a little worried about how crazy this place would be as I’ve heard some horror stories of little kids being plowed down by big kids and general chaos, but we did not encounter anything like that. It was calm, and even relaxing to be there. But we were there on a weekday morning when “big kids” are in school. I might think twice about weekend and summer days if you have real little ones. 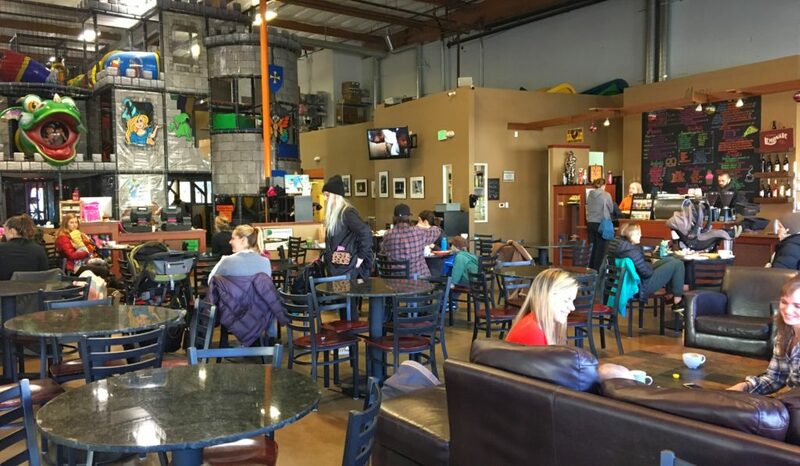 The cafe here is huge, with tons of space for parents and kids to hang out. I have dreams of one day being able to sit with my laptop while Brigitte plays in the structure on her own, but at this point she is incredibly clingy and refuses to venture off without me. 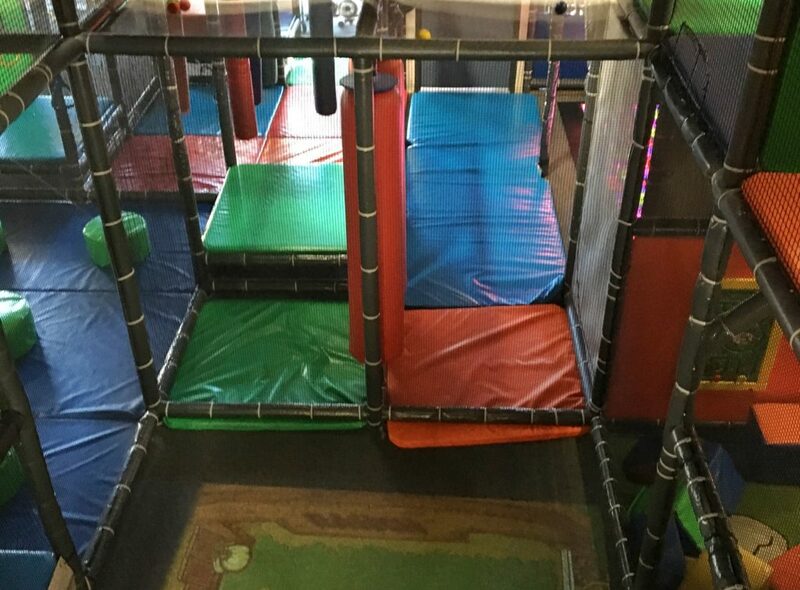 Someday… BUT the good news is: this structure is designed for grown ups to explore too! Other than the tubes, everything is tall enough to stand in. Plus there were plenty of parents (and grandparents) in there with me, which made it kind of fun! 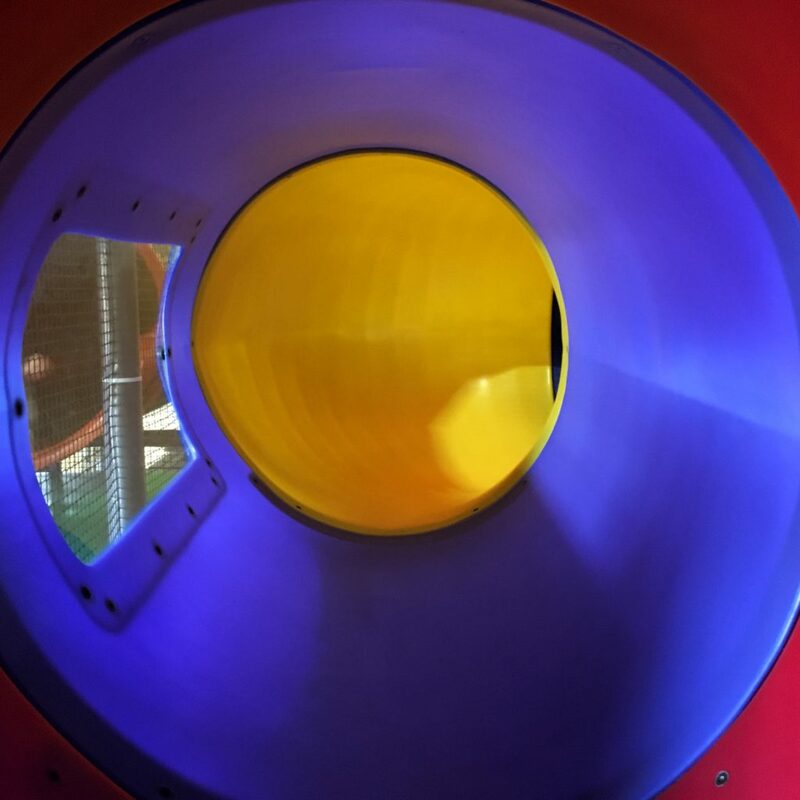 The entire play structure is ok for most kids who are comfortable walkers but there is a toddler area that is good for babies, crawlers and new walkers. 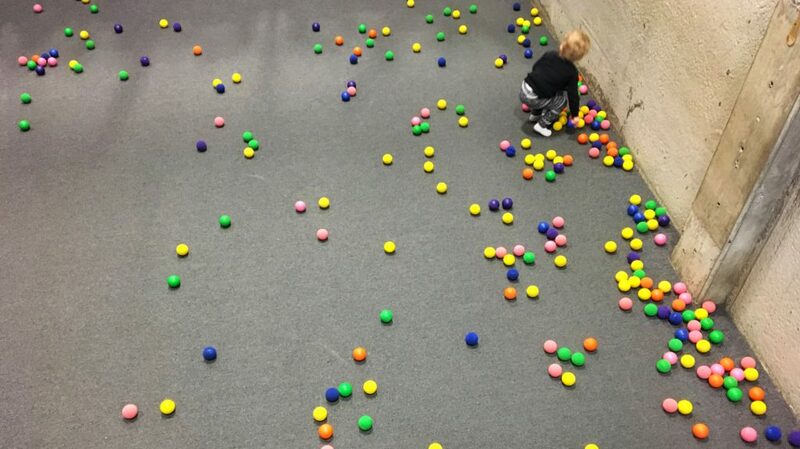 We started in the toddler zone, but quickly left to explore and climb in the bigger space. It’s 3 floors so there is lots to see and try. Brigitte’s favorite area was the ball area that had 2 castles with air cannons. I was in the play structure the entire time so there was no time to eat or drink (you can’t bring your coffee inside), but the menu looks great with TONS of kid friendly snacks. Of course there is coffee, but also a grownup menu with pizza, sandwiches, beer and wine. They are open until 8pm on weekdays and 9pm on the weekends so a beer and a snack would be fantastic while the kids play. I’m sure I’ll be back many times over the next few years. It’s spacious, clean and lots of fun. Happy playing!